In this issue we focus on a number of basics for building growth enterprises. We lead off with a terrific podcast on the importance of assembling a strong board of directors. We follow with an article on a new securities law that permits the aggregation of up to 250 investors in a single investment vehicle so long as the entity has no more than $10 million in capital contributions. This new law will be particularly useful to online platforms that aggregate angel and seed investors to invest in start-ups. We then discuss the importance of stock options and creating a culture of ownership, another basic in creating a valuable company. We conclude this issue with two innovator profiles: [email protected], a new shared wet lab space located in New York’s SoHo neighborhood, and RainFocus, which provides a software platform for delivering insights and marketing messages at large-scale conferences and events. We continue to see tremendous activity in the tech sectors and in particular in biotech and fintech. We also see, and are participating in, a tsunami of activity in digital token offerings that are compliant with SEC rules and regulations. As with all new tools for raising capital, the basics of building a meaningful business remain the same, and that is why we urge all of our clients to build a strong foundation for their enterprises. As always, we welcome your questions and inquiries, and we invite all of you to visit our website for emerging companies mintzedge.com. Why Does a Company Issue Stock Options? In this podcast, Jeff Belk, an early employee of Qualcomm and serial entrepreneur and investor, explains why it is important to build a great board of directors and how to communicate with your board most effectively. Small venture capital funds and special purpose vehicles, which otherwise qualify as “venture capital funds,” can now raise money from up to 250 beneficial owners and remain within the 3(c)(1) exemption of the Investment Company Act of 1940 (the “Investment Company Act”). On May 24, 2018, the Economic Growth, Regulatory Relief, and Consumer Protection Act (the “Act”) was signed into law. Among the financial industry reforms included in the Act is a modification to Section 3(c)(1). Section 3(c)(1) is a common exemption used by funds and special purpose vehicles to avoid registering as an investment company with the Securities and Exchange Commission. While previously limited to 100 beneficial owners, “qualifying venture capital funds,” those venture capital funds that do not have more than $10 million in aggregate capital contributions and uncalled committed capital, can now take advantage of the Section 3(c)(1) exemption if they have no more than 250 beneficial owners. Prior to the passage of the Act, the 100-owner limit presented fundraising challenges for smaller venture capital funds and special purpose vehicles, which tend to attract investors that invest relatively smaller amounts of capital. We believe the increase of the beneficial-owner threshold will allow asset managers, angel groups, and online platforms greater flexibility to access capital for their qualifying venture capital funds and special purpose vehicles by allowing them to raise capital from a larger number of investors. This additional flexibility is one more step forward in facilitating the raising of capital for emerging companies. If you have any questions about this change to the Investment Company Act and how it could affect you and your business, contact one of the authors of this article and we will be happy to discuss it with you. One of the critical keys to a successful venture is aligning the interests of the employees and management with the interests of the shareholders/investors. After all, perhaps the greatest asset of a company is its people. Without a competent and motivated workforce, a venture is unlikely to succeed no matter how great an idea or business concept is involved. One way to align the interests of the employees with the investors is to create a culture of ownership. Many start-up enterprises have limited capital and need to conserve their capital spending until they become cash-flow positive from operations. Accordingly, most start-ups are not able to pay wages that are equivalent to those of large, legacy companies. Further, since many start-ups may not succeed, taking a job with a start-up enterprise is more risky than taking a job with an established company. So why would anyone take a job with a start-up enterprise? The answer is equity! By joining a start-up an employee has the opportunity to obtain an equity stake at a low valuation in the enterprise with the hope that one day that equity stake will be worth a significant amount. When employees are granted equity rights, they are no longer just workers — they are also owners. When you are an owner, your work is not "just a job," and you are more willing to take on responsibility and take pride in your work-product. The most typical way of granting employees an equity ownership in a company is by the issuance of stock options. A stock option gives an employee the right to buy a fixed number of shares in a company at a fixed price over a certain period of time. There are two types of stock options granted to employees: Incentive Stock Options ("ISOs") and Non-Incentive Stock Options ("NISOs" or "Non-Qualified Options"). Historically, ISOs were created to provide a tax-efficient way of granting equity to employees. The operative provision relating to ISOs is Section 422 of the Internal Revenue Code of 1986, as amended (the "Internal Revenue Code"). A Non-Qualified Option is any option that does not fit within the specific criteria of an ISO spelled out in Section 422 of the Internal Revenue Code. The tax advantage of an ISO is that there is no tax on the date of grant of the option and there is no tax on the date of exercise. That said, the tax benefits attributable to ISOs may in fact be somewhat illusory. Although there is no tax on the date of exercise, the amount of gain between the exercise price and the fair market value may be considered for alternative minimum tax (AMT) purposes by the IRS. Thus, an employee who exercises his or her option may, under certain circumstances and depending on each employee's personal tax situation, have to pay taxes under the AMT provisions, even though the employee may not have realized any cash yet from the option if he or she has not in turn sold the stock received upon exercise of the option. Secondly, in order to obtain long-term capital gains treatment on the option, the employee must hold the stock received upon exercise of the option for at least one year before selling. As such, the employee will have to bear the market risk that the stock price may go down below the exercise price of the stock option before he or she sells the stock. This set of circumstances may result in the employee actually losing money on the option! Because most employees do not wish to take the market risk that the stock received will go down in value, most employees exercise their options and sell the underlying shares on the same day. The result of this is that the employee receives short-term capital gains treatment on the sale of the stock, which is the same taxable rate as ordinary income. Since the ordinary tax rates are significantly higher than the long-term capital gains rate, the purported tax benefit of obtaining ISOs is often nonexistent. One of the key issues for boards of directors to consider when issuing stock options is the vesting schedule. Vesting refers to the timing during which an employee can exercise his or her options. What the company wants to set up is the business dynamic whereby the employee feels he or she needs to remain with the company in order to obtain significant economic upside. Sometimes this is referred to as a "golden handcuff." What a company does not want to do is grant a large equity stake to an employee on Day One and see that employee leave for another opportunity but continue to own a large equity stake in the company. Accordingly, smartly managed companies set up vesting schedules for options so that the employee must stay some set minimum period of time before any options vest and are exercisable. Typically, options will be fully vested over three to five years. Many companies set up something called "cliff vesting." What that means is that options do not vest for a period of time — say one year — but after that point in time, the entire year's worth of options will vest. After the initial cliff period, the remaining options will continue to vest regularly on either a monthly or quarterly schedule. 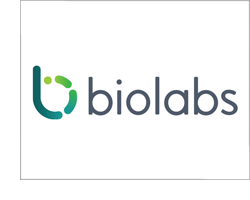 Established by the same people and built on the same principles as the highly successful LabCentral coworking facility in Cambridge, Massachusetts, [email protected] is part of BioLabs’ network of facilities that is helping to change the way life sciences companies are created. Accordingly, locating at one of the BioLabs facilities has become the top choice for the hottest biotech companies around. BioLabs CEO and Cofounder Johannes Fruehauf, MD, PhD, estimates that with the coworking BioLabs model, early-stage companies spend 10 to 20 percent less capital than they would compared to the traditional, “go-it-alone” way. The facilities in the BioLabs network are built around a concept of openness, transparency, and shared resources. They offer beautifully designed coworking environments that pair fully equipped and supported lab, office, and event spaces with relevant programming and unparalleled access to capital and industry partners. Start-ups can streamline and focus their business operations and activities on meeting critical milestones to reach their scientific potentials quickly and achieve business success. Companies can start with a single lab bench and scale up as they grow. Since 2010, when Fruehauf and BioLabs partners began developing the BioLabs concept in Cambridge on a small scale before launching LabCentral in the fall of 2013, more than 200 companies have been created at a BioLabs network facility. Collectively, they have raised more than $1.5 billion in venture capital, grants, and other sources of funding to further their research and commercialization goals. BioLabs offers premium laboratory and office facilities for early-stage life sciences companies, including many value-added benefits beyond the facilities and infrastructure. Already highly embedded in the local biotech community, members are able to tap into the larger BioLabs community as well — an ecosystem that extends well beyond the facility’s walls. Twelve of the top 15 pharmaceutical companies are sponsors or partners of the BioLabs network, as are diagnostic companies, lab equipment providers, venture capital funds, and leading law firms like Mintz Levin, along with accounting firms, banks, marketing, and other service providers that cater to life sciences start-ups. All of BioLabs facilities are designed with collaboration and growth in mind. Founded by entrepreneurs and investors rather than realtors or developers, these spaces reflect first-hand experience of what it takes to launch companies from idea through exit. BioLabs enables company formation no matter where the technology or capital source originates. Residency in any BioLabs facility gives member companies access to a national network of resources and support to engage with the local ecosystem. BioLabs charges a monthly per-person membership fee as part of a service agreement and takes no equity stake as a condition of entry. Because of the extensive sponsor list and programming, residents are typically exposed to a broader array of potential partners and funding resources, and at a much earlier stage than other venues. Located strategically at 180 Varick Street in the heart of Hudson Square in Manhattan, [email protected]’s dedicated life-science coworking, meeting, and event space opened in November 2017 and is already becoming a vibrant meeting place for the New York City life science community. The new center for biotech entrepreneurs was launched in partnership with NYU Langone Health, with Bristol-Myers Squibb and the New York City Economic Development Corporation as founding sponsors. The wet lab and full facilities are expected to open by early fall 2018. Even before it had access to the Varick Street location, BioLabs had been hosting a seminar series for the startup community, leveraging the vast knowledge of its sponsor and partner network. According to Nicole McKnight, PhD, managing director of BioLabs New York, topics to date have included CRISPR technology, clinical trials, IPO, licensing, biologics, and VC funding. Sponsors also offer regularly scheduled office hours on site with employees from various department functions to provide in-person access to BioLabs residents and other invited guests. The BioLabs network operates in key cities with proven biotech innovation clusters. The expanding network now comprises sites in Boston and Cambridge, Massachusetts; Durham, North Carolina; San Diego and San Francisco, California; New York City; and Princeton, New Jersey. RainFocus delights millions of attendees at large-scale events of Fortune 1000 companies by delivering better insights, experiences, and marketing through an industry-disrupting software platform. Founded by event industry leaders, RainFocus got its start by solving for a strategically critical gap in the market — event intelligence. While companies invested billions of dollars into experiential marketing activities, connecting experiential activities, behaviors, and preferences to meaningful ROI was done through instinct rather than intelligence. Data was isolated and fragmented, event systems were walled off from the core marketing tech stack, and teams were left looking at simplistic vanity metrics to drive improvements. The core of the RainFocus platform consolidates all of a company’s experiential marketing data into one system of record that can be seamlessly integrated into its larger marketing technology stack. Companies can see year over year performance, track attendees across their entire event portfolio, and optimize the experience for each segment, driving deeper engagement and accelerating sales conversions. As companies adopted RainFocus, it became obvious that the current market leaders of event management software weren’t built to serve modern marketing best practices. The need to adjust to real time insights was cost and time prohibitive with these existing systems. Event teams were so mired in the complexity of the technology that the software limitations drove the definition of the attendee experience, leaving innovative and engaging ideas by the wayside. 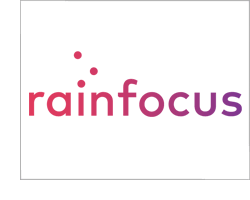 Building on the event intelligence core, RainFocus built a new event management platform that could leverage insights automatically and be changed with drag-and-drop ease. Event teams could now streamline their operations with a fraction of the time previously required and focus on delivering personalized experiences for their attendees. With all aspects of event management (registration, content, exhibitor, meetings) in one seamless platform and the ability to handle your entire event portfolio, enterprises now have the final technology piece to unify experiential marketing with digital. RainFocus’s mission is simple: disrupt experiential marketing technology, empower event teams to rethink their event portfolio, and drive meaningful experiences that generate true ROI. 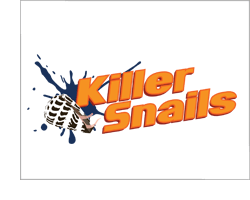 Congratulations to Our Client, Killer Snails! The US Small Business Administration (SBA) New York District Office has named Jessica Ochoa-Hendrix, Mandë Holford, and Lindsay Portnoy of Killer Snails LLC — a start-up creating games designed to inspire a love of science — as its 2018 Small Business Innovation Research (SBIR)/Small Business Technology Transfer (STTR) Recipients of the Year. Congrats to the whole Killer Snails team! Copyright © 2018 Mintz, Levin, Cohn, Ferris, Glovsky and Popeo, P.C. This communication may be considered attorney advertising under the rules of some states. The information and materials contained herein have been provided as a service by the law firm of Mintz, Levin, Cohn, Ferris, Glovsky and Popeo, P.C. ; however, the information and materials do not, and are not intended to, constitute legal advice. Neither transmission nor receipt of such information and materials will create an attorney-client relationship between the sender and receiver. The hiring of an attorney is an important decision that should not be based solely upon advertisements or solicitations. Users are advised not to take, or refrain from taking, any action based upon the information and materials contained herein without consulting legal counsel engaged for a particular matter. Furthermore, prior results do not guarantee a similar outcome.